Moon enters Cancer @ 1:37am ET on the 25th. This is a pairing of the sign most in need of travel and the sign most in need of being home. The zest for the new and the dependence on memory makes this pair a true conundrum. If you set your hotel room up with lots of chatzkes from home, won’t be found without your own pillows, or cook a lot in your room, you’ve blended these two into a truly remarkable creature. The magic of the homing pigeon, that always returns to the nest after travelling long distances, is one of the best animal totems this pairing could have. Insights gained from remembering something that got you where you are today is more than memory, it is emotional education. That ancestor who took the longest journey of their life and made a home in a new land so that family would be secure showed the strength and love of this pairing. This is Moon/Jupiter working together with optimism, love of home, and sacred memories to act as guiding principles. The Moon changes from Full to Disseminating on the 26th at 9:43am ET. 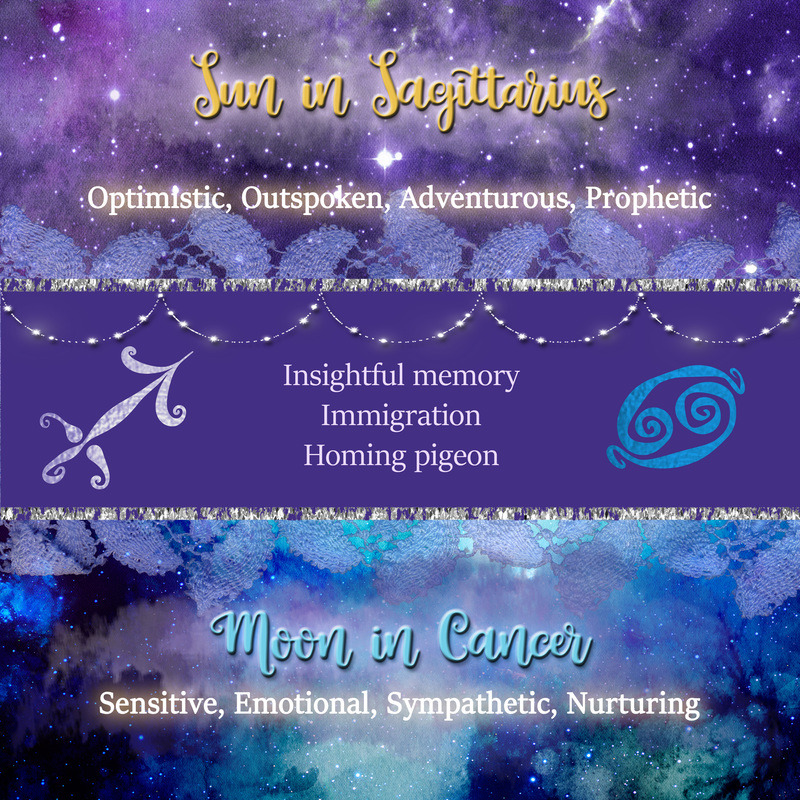 Do you have a Cancer Moon?